A patio can be a great addition to your home. Not only is it a sound investment that can increase the value of your home, but it can also provide a haven for outdoor relaxation and entertainment. 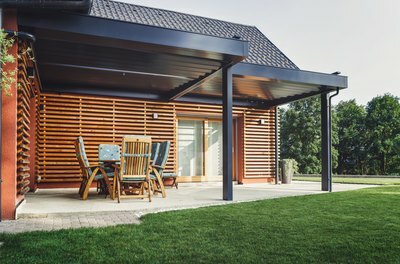 The comfortable living space of your home can extend outside with a roof over your patio to protect you from both the sun and inclement weather. A patio with a roof can be a great place to enjoy breakfast in the morning or relax after a busy day. It is also an ideal spot for entertaining friends and family members. Start by pricing a patio roof to see whether you can afford to transform an outdoor patio to one that you can enjoy all through the year. To estimate the cost of a patio roof, it is best to contact different roofing companies and ask questions. The national average cost for a patio enclosure is $16,208. What’s the most effective and direct way to get an accurate estimate on the price of a patio roof? Contact roofing companies directly. Unless you are a skilled and trained roofer, you’ll need to use a professional to install the roof, so you need more than the basic costs of materials. To give you the most detailed and exact estimate, the roofer will likely need to visit your home and check out the scope of the patio project. Give the roofer as many details as possible. The estimate will not be accurate if you don’t provide all the information the roofer needs to determine what it will take to deliver the roof you want. 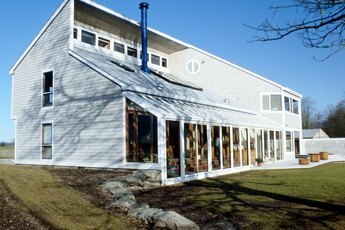 Sometimes a roof estimate may be less than what you thought, so it can be tempting to move forward with the project immediately. However, never go with the first roofing company you contact. Take the time to get at least three different patio roof estimates. Ask questions every time a roofing company comes to give you an estimate. Be clear on what the estimate includes. If you don’t, you may be getting drastically different estimates that cover different things. You need to get a detailed estimate that breaks down the prices of raw materials, labor and other costs related to the patio roof. If a roofer isn’t willing to answer your questions, that’s a red flag, and the company should be avoided. It’s OK to ask questions that aren’t directly related to the cost estimates because they can ultimately impact how much you pay. You don’t want the company to be able to offer you a low estimate because they’re cutting corners in other important places. For example, you should ask the roofing contractor about which insurances they carry. A roofing company should carry liability insurance and workers’ compensation insurance. If they don’t, that’s a red flag. You don’t want your patio roof installation to get unexpectedly and indefinitely stalled if an emergency happens with the staff. If it does and the company is uninsured, you may not be able to get back the money you invest in the project. 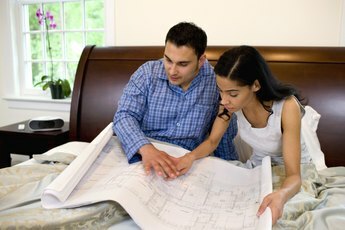 The most common reason that home improvement projects go over budget is the later addition of extras. Before you get a patio roof estimate, decide on what you want and need in the roof. High-end extras can drive up the price of a roof quickly. However, you are in control at the start of a project. It’s easier to then assess how much a roof may cost with and without certain materials so you can make an informed decision. Some people choose to make other patio improvements at the same time they are adding a roof. That makes it even more important to have an accurate idea of how much the patio roof is going to cost. So, for example, if you want to transform your patio to an outdoor kitchen and entertainment area for wining and dining your friends, get an outdoor kitchen cost estimate in addition to getting a roof estimate. Looking at the overall costs and the individual prices for each improvement can help you to determine what’s feasible and to prioritize what you most want. The outdoor room cost may be dramatically lower or higher than what you first envisioned. After you get roofing estimates and choose a roofer, do your due diligence. Research the roofing company thoroughly before making a commitment. Check out the company’s history with the Better Business Bureau. Ask for details about their insurance. It’s OK to ask to see copies of documentation to back up information that’s provided. Not all states require licenses, but some states do require roofing professionals to have a license. If your state requires a license, check to see whether the company has a valid license that’s currently in good standing. The licensing agency should be able to verify that information. Use the internet to see what information is out there on the company. Put the name of the roofing company in quotation marks and then use Google and other search engines to get valuable data on the company. Nearly any business has at least a few bad reviews, but they should be balanced with many more positive reviews if you are to trust the roofers. Also, look at the content of bad reviews to see what angered past customers. Next, put the name of the company into the search engine with terms like “scam” and “complaints” to see whether there is an online history of problems with the business. Also, look at whether the roofing company is a member of professional organizations. The roofer’s website should indicate the organizations of which it is a member, and that is a good sign. You can then look at the professional organization’s website to see its code of ethics and lots of other information about what it expects from members. The National Roofing Contractors Association offers roofing manuals and technical information. It provides information on professional certification, safety precautions, government advocacy and insurance. The National Roofing Contractors Association also offers an entire website for consumers. Unfortunately, roofer scams are prevalent in many communities. If you live in an area that’s recently seen a large storm or other disaster, the scammers may be coming out of the woodwork in full force. The Better Business Bureau even warns that storm chasing scammers travel to towns looking to do a rapid roofing job when it’s really needed. These scammers may simply be out for money. They target already-vulnerable people who’ve experienced a natural disaster, yet these scammers have no intention of completing the job. If a roofer comes to your door looking for work, verify any information he provides before you hire him. Although pricing a patio roof beforehand is wise, keep in mind that unexpected expenses may pop up. Some things are beyond your control, and your roofer may not anticipate some issues that may occur. If possible, set aside extra funds to cover last-minute expenses that you might need to pay for while renovating your patio. 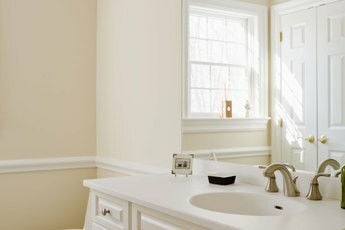 This savings account can offer peace of mind and allow you to move forward with home improvements without worrying about stalled projects due to going over the designated budget. With a patio that’s designed well, constructed to last and meticulously maintained, your home is sure to be appealing to visitors while you’re living there and homebuyers when you’re ready to move.